Recently when Mrs. Neumann, a former social studies teacher, took a new position in Maine, the school needed to hire a new teacher. 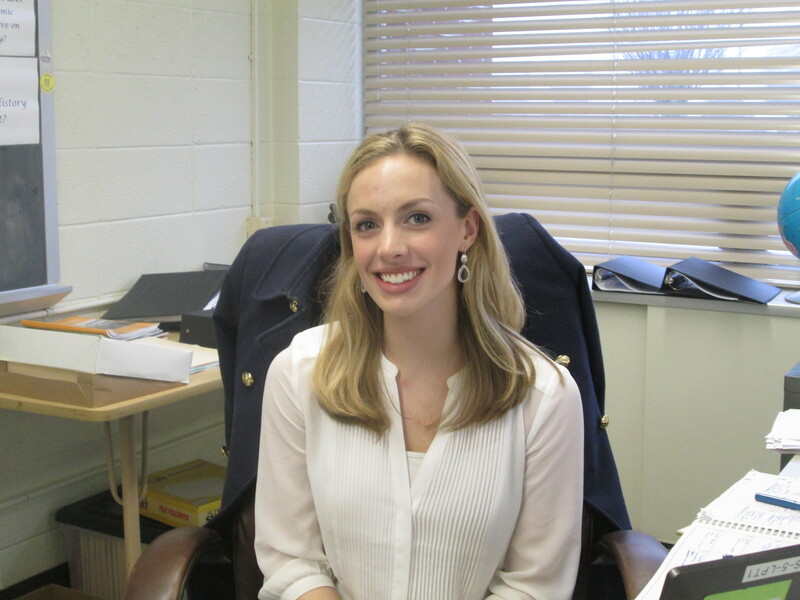 Ms. Russell became the new social studies teacher for the Morgan School on Friday, April 4. She teaches two contemporary global issues classes, two world history classes, and one honors world history class. Ms. Russell attended Connecticut College for her undergraduate degree and is currently going to Trinity College to achieve her graduate in the American Studies Program. Before taking this job at the school she previously worked in Simsbury, Connecticut tutoring English and social studies. Along with tutoring, she taught a world history class in one of the Simsbury schools. We asked her why she made the switch to come to the Morgan School, and she said, “I love teaching and it was a full time job so I took the opportunity. Clinton seemed like a great community and school district.” She hopes to get to know all of the students and to get everyone to love history as much as she does. “The school is very close knit, and all the students care about each other.” Ms. Russell believes the school is filled with great relationships between the students and teachers. The school had other new additions to the faculty this year including Mr. Farace and Mr. Rossi. She seems very nice and I have heard from many students that she is well-liked.